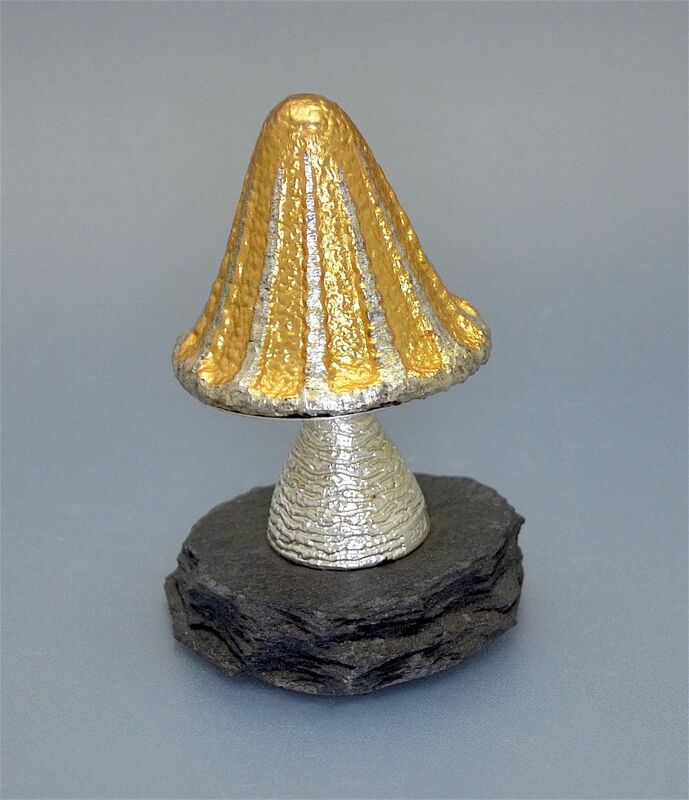 This charming silver and silver gilt novelty surprise mushroom was made by Christopher Nigel Lawrence. The textured silver and gilded sliver mushroom cap lifts off to reveal Ratty & Mole from the Wind in the Willows. 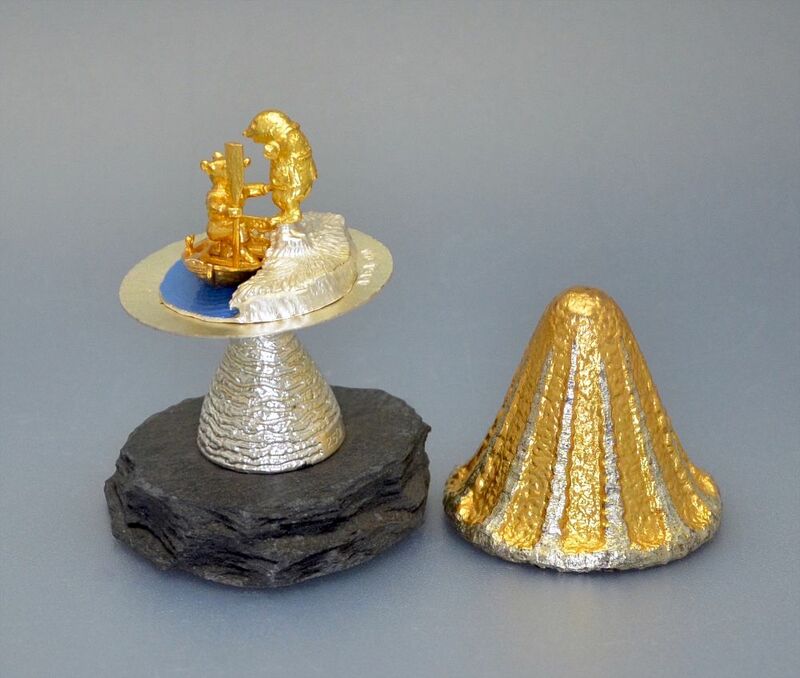 The gilded silver mole is standing on a textured silver river bank above the gilded silver Ratty who is holding a gilded silver oar and standing in a gilded silver boat on a blue enamelled and silver base beneath which is a textured silver stem leading to a slate base. The mushroom is hallmarked by the London Assay Office for silver and 1983 and bears the sponsor's mark "CNL" for Christopher Nigel Lawrence. It is also stamped 29/250 being a limited edition number 29 of 250. Lawrence was apprenticed to CJ Vander in 1951. Studied at the School of Arts & Crafts in London. After working at R E Stone he spent 8 years managing Gerald Benney’s workshop before setting up on his own account opening a studio and workshop in Leigh-on-Sea in the late 1960s. Following the recession he closed the workshop and moved to Southend. 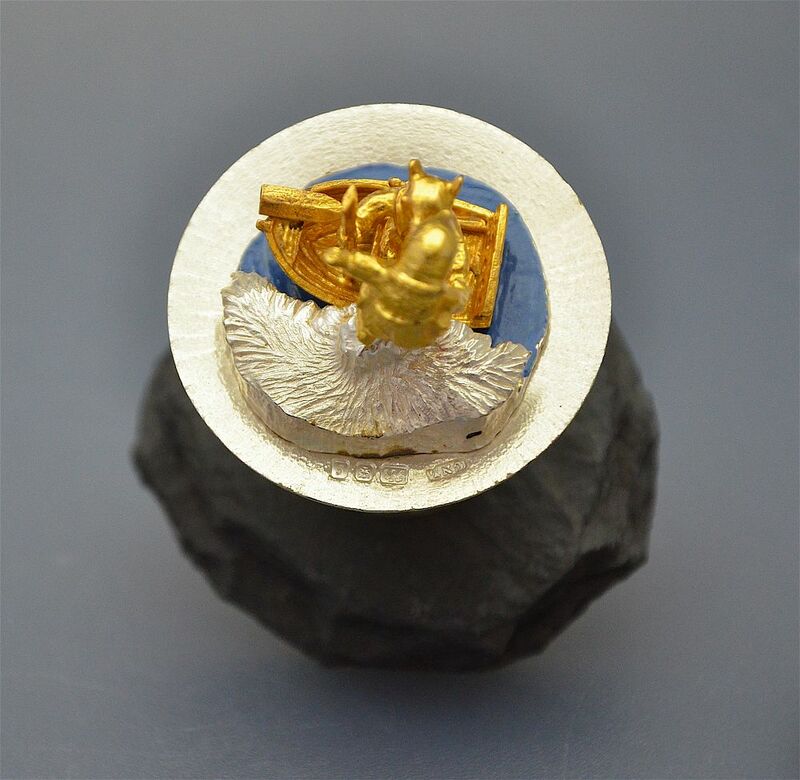 Winner of 28 prizes in the Goldsmiths' Craft Council competitions & 3 Jacques Cartier Memorial Awards. Member of the Institute of Professional Goldsmiths. Liveryman of the Worshipful Company of Goldsmiths.